A 54-year-old men, was diagnosed with kidney damage after he took high doses of vitamin D for years. He was returning from a trip to Southeast Asia where he spent much of his holiday sunbathing. After referral to a kidney specialist and further testing, it was discovered that the man had been prescribed high doses of vitamin D by a naturopath, who recommended a dose of 8 drops every day. Over two-and-a-half-years, the patient, who did not have a history of bone loss or vitamin D deficiency, took 8-12 drops of vitamin D daily, a total of 8,000-12,000 IU. Hence, he had very high levels of calcium in the blood which left him with significant kidney damage. The recommended daily allowance of vitamin D is 400-1000 IU, with 800-2000 IU recommended for adults at high-risk of osteoporosis and for older adults. 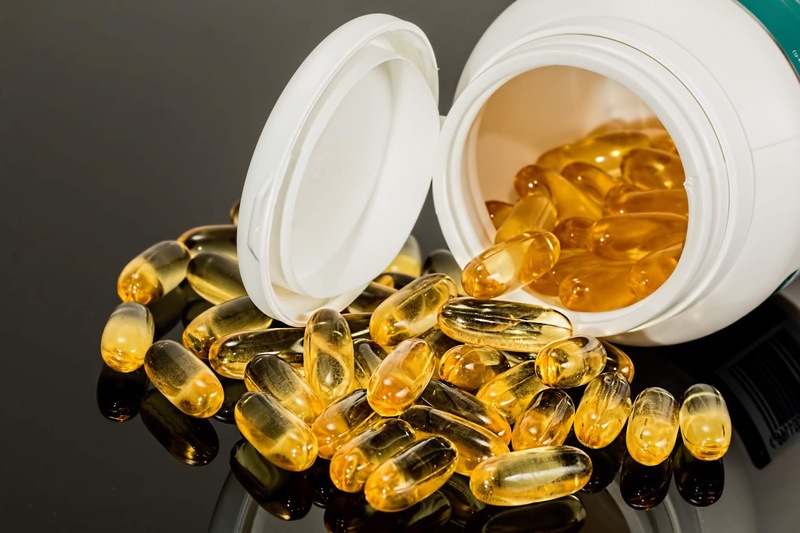 “Although vitamin D toxicity is rare owing to a large therapeutic range, its widespread availability in various over-the-counter formulations may pose a substantial risk to uninformed patients,” said Bourne Auguste from the University of Toronto. Clinicians must be aware of the risks of vitamin D use to limit complications related to hypercalcemia. Calcium levels may get worse before getting better in patients even after cessation of supplements, as vitamin D is fat soluble. Citing that renal ailments are among the top 10 causes for fastest growing causes of death in the world, doctors say that a healthy diet and regular exercise can keep the risk of kidney diseases at bay. 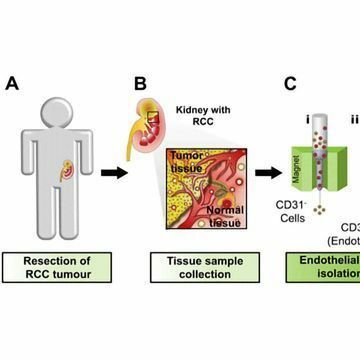 “Kidneys are not only responsible for excretion of metabolic waste from the body, but also for maintaining adequate haemoglobin percentage, blood pressure, water content of the body and electrolytes (sodium, potassium),” KIMS ICON Hospital consultant nephrologist and transplant physician Dr. K.R. Mahesh said ahead of the World Kidney Day which will be observed on March 14 (Thursday). The theme for this year is “Kidney health for every one and every where”. “The The objective of the day is to raise global awareness about the existing disparities and inequities of kidney health despite the growing burden of renal ailments worldwide,” Dr. Mahesh said. Throwing light on the symptoms and complications, he said malfunctioning of one or both kidneys leads to a myriad of problems causing morbidity and mortality. “Kidney dysfunction can be suspected when a person develops symptoms such as swelling of feet, distension of abdomen, puffiness of face, breathing difficulty, froth in the urine, change in colour of urine, burning sensation during urination, difficulty in passing urine and low urine output per day,” Dr. Mahesh explained. The potential risk for renal dysfunction starts from birth in the form of low birth weight ( less than 2 to 2.5 kg ) either due to pre-term delivery and intrauterine growth retardation (IUGR). Underlining the need for antenatal mothers to have regular check-ups, he said those with history of heart or liver dysfunctions, diabetes, hypertension, obesity, prolonged consumption of painkillers, patients with recurrent urinary tract infections, people living in endemic areas such as in north coastal Andhra Pradesh (Uddanam), Chimakurthy mandal of Prakasam district and Mondupalem near Anakapalle in Visakhapatnam run the risk of getting chronic kidney disease (CKD). “Regular exercise, healthy diet, drinking clean water, maintaining ideal body weight and avoiding consumption of alcohol and nicotine can prevent the renal ailments,” he added. A study from researchers at the Perelman School of Medicine at the University of Pennsylvania found the risk of mortality is lower for patients with chronic kidney disease when they receive potassium supplements during hot temperature days. Patients who received the additional potassium saw a 10% drop in mortality, researchers said in a Perelman press release. Patients with CKD on diuretics are often at risk for low potassium levels, or hypokalemia. That condition can increase the risk of death from cardiac arrhythmias or other causes. While some patients are prescribed combination diuretics that contain both a thiazide and potassium-sparing diuretic, nephrologists and other clinical staff may not be aware that sweating can increase the risk of potassium loss in warmer weather, according to the press release. Nephrologists often prescribe the drug furosemide, a diuretic known commonly as Lasix, to decrease fluid retention and combat swelling in the arms, legs and/or abdomen in patients with heart failure, high blood pressure, and/or kidney and liver disease. The drug, like many other diuretics, causes patients to urinate more than normal, leading to lower levels of potassium in the body. These lower levels can be more dangerous when outdoor temperatures are high, as patients often lose additional potassium through sweating, the release noted. Researchers for the study looked at 1999 to 2010 data from Medicaid patients in California, Florida, New York, Ohio and Pennsylvania. The data set represented about 40% of total U.S. Medicaid enrollees and made up approximately 20% of the total U.S. population, according to the release. Data were included from those who took furosemide at 40 mg/day or more and had not been prescribed any furosemide nor diagnosed with hypokalemia in the previous year. Among the 337,885 people who took 40 mg/day or more of furosemide, 32% of them also took potassium when starting the diuretic. The team linked these data to zip code-level daily temperature data from the National Oceanic and Atmospheric Administration and compared two groups — one group included patients who took prescription potassium to prevent hypokalemia when beginning furosemide, and the other included patients who did not take prescription potassium when taking furosemide. The team found that across all temperatures, the potassium-taking group experienced a 9.3% lower risk of death than the group who did not take potassium. This survival benefit was also higher when daily maximum temperatures were higher. The authors speculated that patients with CKD who reside in warmer regions might tolerate increases in temperature better than those in cooler regions. “Also, a temperature–potassium interaction on mortality, if it exists, might differ across subgroups, such as geographic regions, sociodemographic characteristics including age, comorbidities or degree of frailty. Because we were unable to explore such relationships given the limited number of high-temperature deaths, further research is warranted to investigate these potential relationships in diverse subgroups and health outcomes,” they said. Disclosures: This work was supported by the U.S. National Institute on Aging (R01AG025152) and the U.S. National Institute of Diabetes and Digestive and Kidney Diseases (R01DK102694). The authors report no relevant financial disclosures. The world celebrated World Kidney Day with the aim of raising awareness about the increasing burden of kidney diseases worldwide and the need for strategies to prevent and manage them. Besides the heart, trauma, cancer and other organ diseases, kidney diseases are rising alarmingly, and are a major cause of mortality. At least 2.4 million people die every year due to chronic kidney diseases (CKD) and are now the 6th fastest growing cause of death. Similarly, acute kidney injury (AKI), an important driver of CKD, affects more than 13 million people worldwide. Moreover, CKD and AKI significantly contribute to increased morbidity and mortality from other diseases, such as cardiovascular disease, diabetes, hypertension, obesity, HIV infection, malaria and tuberculosis. Though the burden of kidney diseases is alarming, this has not yet drawn enough attention. CKD and AKI are often found in people who are born into poverty, face gender discrimination, lack education, and work in hazardous occupations and pollution. Transplantation is considered the gold standard and most cost-effective treatment of CKD. But it not only requires high set-up costs for infrastructure and a multidisciplinary team of highly specialised manpower, it also cannot be done without organ donors and dialysis backup. Lack of physical facilities and laws as well as cultural bias against organ donation present barriers in countries like ours, making dialysis the default option. In general, there are national policies and strategies for non-communicable diseases (NCDs) in many countries, but specific policies directed toward screening, prevention and treatment of kidney diseases are often lacking. Statistics reveal that nearly 3,000 people in Nepal develop kidney failure annually. Similarly, the number of people taking dialysis services across the country is around 4,500, whilst the number of kidney transplants has reached nearly 1,300. The kidney transplant is emerging as the best modality of treatment as it offers a better quality of life than dialysis. Currently, there are three government hospitals licensed to conduct kidney transplantation. The Shahid Dharmabhakta National Transplant Centre (SDNTC) in Bhaktapur has already conducted 586 kidney transplants over six years with world class results. Likewise, there are nearly 120 patients taking free dialysis services every day. This centre is also the pioneer in liver transplant and brain dead donor kidney transplant in the country, having done six kidney transplants and one liver transplant from three deceased donors till date. Aimed at conducting 200 kidney transplants this fiscal year, the centre has already conducted 161 live donor kidney transplants in the last eight months. This has already saved the country billions of rupees. Kidney transplantation is tied with strict legal provisions. The old Organ Transplant Act of Nepal allowed only living donor kidney transplantation, and the donor pool was extremely narrow. However, the new Organ Transplant Act of Nepal, 2072 has introduced new provisions, making it more flexible to get donors for transplantation. The three provisions are: Expansion of live donor pool, namely relatives. The second provision is, pair-exchange, where an incompatible donor/ recipient pair is matched with another incompatible donor/ recipient pair for a “swap” from different families. The third provision is brain-death organ donation and transplantation. One brain-dead person can donate eight solid organs. In Nepal, the number of people sustaining brain-deaths is quite high, especially from road traffic accidents, but due to lack of awareness and various social and religious factors, the rate of brain-death organ donation and transplantation is still low. Though the main focus of clinical science lies on the curative aspect, it is high time we concentrated on disease prevention. This will reduce the overcrowding of hospitals and grapple with the shortage of human and other resources. Organ failure can be prevented through routine health examination, lifestyle modification, early diagnosis and treatment. The importance of these can be highlighted by creating awareness. In the last one decade, Nepal has become successful in reaching many milestones in the orbit of transplantation, and there is a lot more to achieve through collective efforts. So the SDNTC, jointly with the Nepalese Society of Organ Transplantation (NESOT) and Indian Society of Organ Transplantation (ISOT), is organising the 1st International Transplant Conference with the theme “Bridging the Gap” on April 20-21 in Kathmandu. This year’s theme for World Kidney Day “Kidney Health for Everyone Everywhere” calls for universal health coverage (UHC) for the prevention and early treatment of kidney disease. This can be achieved by adopting a healthy lifestyle through access to clean water, exercise, a healthy diet and tobacco control. Screening for kidney diseases should be made a primary healthcare intervention, including access to identification tools, such as urine and blood tests. And as more resources become available, there is a need for transparent policies governing access to advanced health care services, such as dialysis and transplantation, and better financial protection, such as subsidies. Following kidney transplant, children with ESRD who were on hemodialysis showed greater improvements in quality of life scores than did those who were on PD, according to findings presented at the Annual Dialysis Conference. To examine the change in QoL for pediatric patients from dialysis to transplant, researchers considered responses to the pediatric quality of life inventory 4.0 generic core scales from 19 caregiver/patient dyads (31% were men; aged 2 to 17 years). The questions addressed a variety of measures including physical, emotional and school functioning. Researchers found patients reported higher overall QoL than did caregivers for both dialysis and transplant and that there were no significant improvements in any of the caregiver response categories. Researchers also found that, although patient self-report scores did not significantly improve after transplant for those who had been on PD (74.8 while on PD vs. 74.9 post-transplant), patients who had been on hemodialysis had increases in total QoL score (75.8 vs. 85.2) and in the health and activity score (75 vs. 87.5). Researchers hypothesized that this may be related to the fact that children on hemodialysis have restricted activity as they are required to go to the hospital three times a week for treatments. Zimmerman CT, et al. The Quality of life journey from dialysis to transplant in pediatric end-stage renal disease patients. Presented at the Annual Dialysis Conference; March 16-19, 2019; Dallas. Nonsmokers exposed to secondhand cigarette smoke are at increased risk of chronic kidney disease (CKD), according to new study findings published in the Clinical Journal of the American Society of Nephrology. The study included 131,196 never-smokers with normal kidney function who participated in the Korean Genome and Epidemiology Study from 2001 to 2014 (mean age 53 years; 75% women). Investigators classified patients into 3 groups based on the frequency of secondhand smoke exposure: no exposure, less than 3 days per week, and 3 or more days per week. In these groups, 1.8%, 1.7%, and 2.0%, respectively, had CKD. Individuals with less than 3 days and 3 days or more of exposure had significant 72% and 44% greater odds of prevalent CKD than the no-exposure group, Jong Hyun Jhee, MD, of Inha University in Korea, and colleagues reported. The investigators also examined the risk of incident CKD development in a longitudinal cohort of 1948 participants without CKD at baseline. The individuals were a subset of the main cohort. CKD developed in 319 participants over a mean follow-up period of 104 months. On multivariable analysis, individuals with less than 3 days and 3 days or more of exposure to secondhand smoke had significant 59% and 66% greater odds of CKD, respectively, compared with the no-exposure group. Secondhand smoke increases CKD risk to a comparable degree as firsthand smoke, according to the researchers. With respect to possible mechanisms, smoke may inflame the lungs and spur oxidative stress, ultimately affecting the entire circulation, including the kidneys, the team said. They also cited a recent study suggesting nicotine may cause apoptosis of podocytes.